The natural beauty of the park is second to none, with its virgin forests, gurgling rivers, bubbling brooks, and craggy hills often putting the visitors into a trance. As for wildlife, there are many endangered and native animals as well as birds that will make your day. The serene woods of Corbett are the residence to many predator species, including apex predators like the tiger. A master hunter, the tiger uses the abundance of foliage in the forest to camouflage itself before launching a surprise attacks on unsuspecting preys. It is sights like these which bring visitors here in droves. Other important predators found in the park include the leopard, jungle cat, fishing cat, and jackals. Important members of the mammal family include barking deer, sambar deer, hog deer and chital. The avifauna of the park is also no pushover either with species like crested serpent eagle, blossom-headed parakeet and the red junglefowl adorning its landscape. If you want to spend your vacation in this dream destination, it would be wise of you to make the ideal preparation for the trip; it is because every destination has some unique elements to it and if you are aware of and prepare for them, there are fewer chances of heartbreaks or inconvenience when taking the actual tour. Here is some important information about Corbett that will make planning easier for you. Just read on. 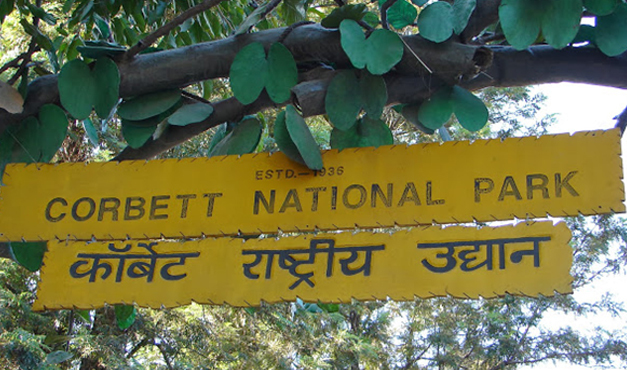 To begin with, Corbett National Park remains open all throughout the year. So, if you are in the mood, just pack your backpack and hop into whatever gets you the quickest to the park. In case you are the more reserved type and don’t believe in taking decisions on an impulse, take your time. Coming back to Corbett, each of the four zones has a distinct topography and also different visiting periods. While Jhirna Zone is open for tourists round the year, Dhikala zone is off limits for tourists except from 15th November till 15th June since monsoon rain severely damages the path that connecs it to rest of park. Bijrani faces a situation similar to Dhikala and is accessible only during 01st October to 30th June. Meanwhile the Durga Devi Zone is open to visitors between 15th November and 15th June. Taking all this factors into account, winter (November to February) is easily the best season to visit the park because during this period you can visit all the zones and the weather is also very pleasant. Also, spotting animals like tigers is much easier in winter with them ambling along the jungle and enjoying a sunbath. If you instead choose summer, be prepared to be encountered by hot and humid conditions, as at this time of the year the mercury reaches 40 degrees Celsius. The park area has been divided into four zones. Dhikala Zone: It is the largest of the four zones and hosts many lodges where one can stay. A stunningly beautiful zone, it is inhabited by species like elephants, Bengal tigers, deers, and crocodile. The best time to visit the zone is from mid November to mid June. Jhirna Zone: The close proximity of this zone to Ramnagar makes it a favorite staying option among the visitors, with rest houses being the most common type of accommodation. Here you can spot wild bears. Come here between October and June end for maximum fun. Bijrani Zone: The characteristic elements of this zone include lush sal forests, rolling grasslands, and many rich varieties of fauna species. 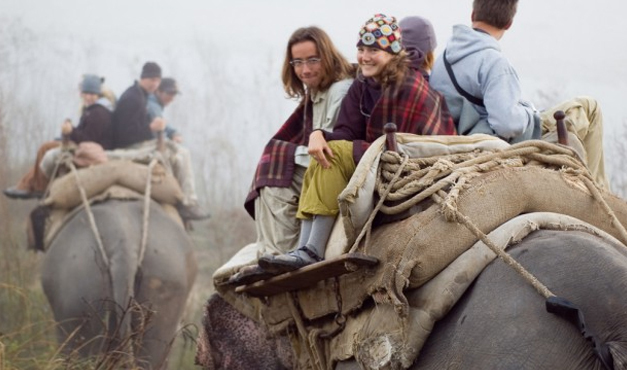 It is just 1 km away from Ramnagar, and is teeming with wildlife species like tigers, chital, deer, and elephants. The best time to visit this zone is from mid October till June end. Durga Devi Zone: For the birders, the best place to go bird-watching is the Durga Devi zone. Bird species like the Grey Headed Fishing Eagle, Black Chinned Yuhina, Maroon Orile, and Crested Laughing Thrushor happen to be key attractions here. Besides you would find the endangered Mahsheer fish in this zone. Best time to visit is mid November to June end. These zones are designed to help the park administration to efficiently manage the park while ensuring that the wildlife and natural resources of the park can be spotted by visitors without causing them any harm. Cooking is prohibited inside the park and at the tourist complexes in Dhikala and Bijrani zones. As for the rest of the tourist complexes, cooking is allowed within the prescribed space. Carry your own litter bag and don’t throw anything in the park, especially non-biodegradable stuff like tin cans, plastic, glass bottles, metal foils, etc. Otherwise you may lend in some serious trouble. All excursions require you to be accompanied by an officially registered guide. Don’t smoking outside your living spaces or attempt to start a fire of any type. Transistors and tape recorders are not permitted in the tiger reserve. Don’t ever go off the designated route, as you may end up damaging the flora or endangering an animal. Maximum of two adults and two children (not above 12 years) can occupy a room in the tourism zone. An extra bed can be arranged for extra charges. The great thing about picking Corbett over others is there are many interesting places that you can explore besides having a great time at the park. Like, those with a religious bent of mind can head to the famous Garjia Temple, which is just 14 km from Ramnagar. Located in the middle of the Koshi River, it sits atop a huge rock and has a huge following among the devotees. Then there is the Sitabani Forest Reserve, some 10 km away from Ramnagar, awaiting your gracious presence. The forest has a mythological angle to it with many believing that Goddess Sita, a key character from the epic Ramayana, spent her days of exile here. That apart it has a thriving wildlife with the tiger, leopard, jackal, and wild boar being notable mentions. In addition to these places, you might also like to take a look at Corbett Water Fall, Sunrise Point, Dhangari Museum, and Corbett Museum. The place where you stay during the tour goes a long way in determining how your trip pans out; like if you somehow end up in an accommodation that is far flung from the attractions you want to visit; doesn’t have the best of amenities, be it internet or banquet facilities; doesn’t have a swimming pool or for that matter a bar where you can drink away the tiredness of a long and tedious day, you are bound to be frustrated and have a foul mood. Luckily, no such heartbreak awaits you at Corbett as there are many impressive places in and around the park to choose from. Take for example Jim’s Jungle Retreat, which is located nearby the park and is designed for people who seek a bit of luxury. Reamed by picturesque Himalayan landscapes, it is a nature lover’s delight and gives one the true essence of jungle stay. With 23 rooms to choose from and a host of first-rate amenities to go with it, you are in for a whale of a time in this retreat. Another resort that you must check out is Corbett Ramganga Resort, beautifully nestled at the foothills of the Sivalik Hills and on the banks of the sparkling River Ramganga. The serene environment, enveloping quietude and the balmy winds of the place can soothe even the most restless of souls, and you for one shouldn’t miss the opportunity. Visitors are hosted in tent-lookalike houses and are extended all the basic amenities for a convenient and pleasurable stay. 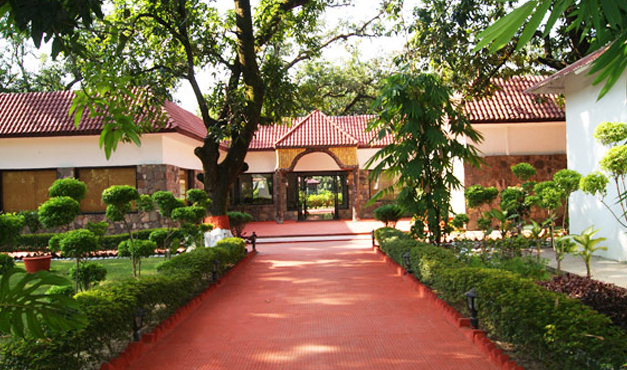 Apart from these two, other notable mentions include Corbett Leela Vilas, Corbett Hideaway, and the Wild Crest Resort.